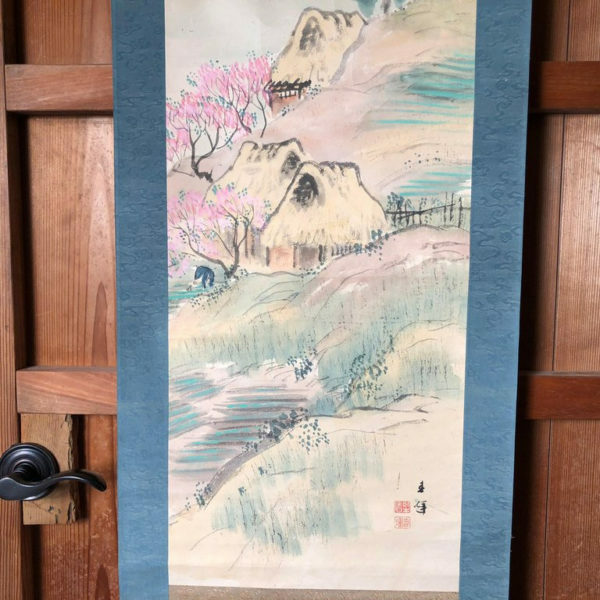 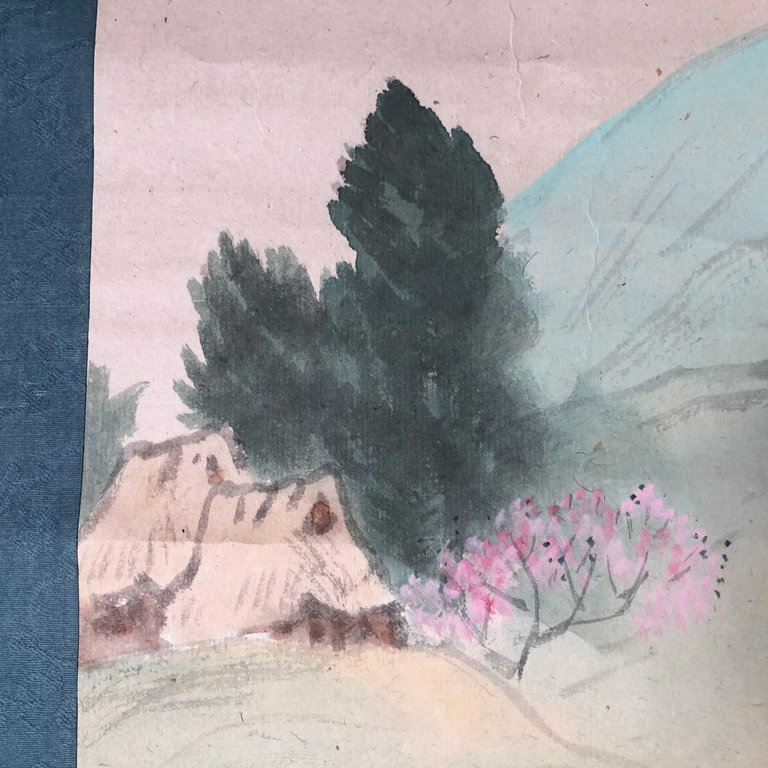 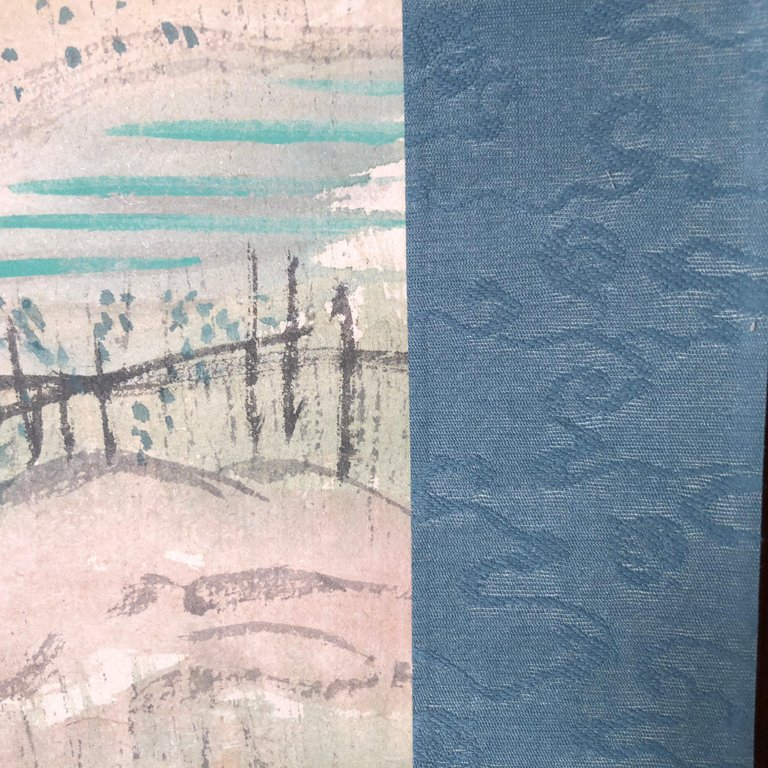 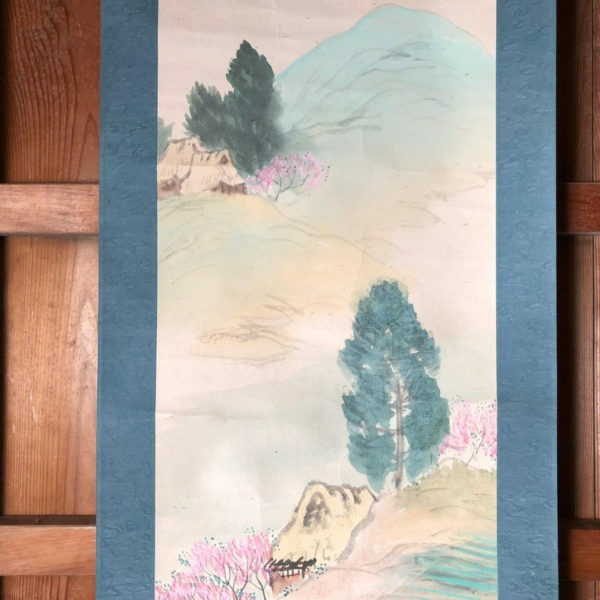 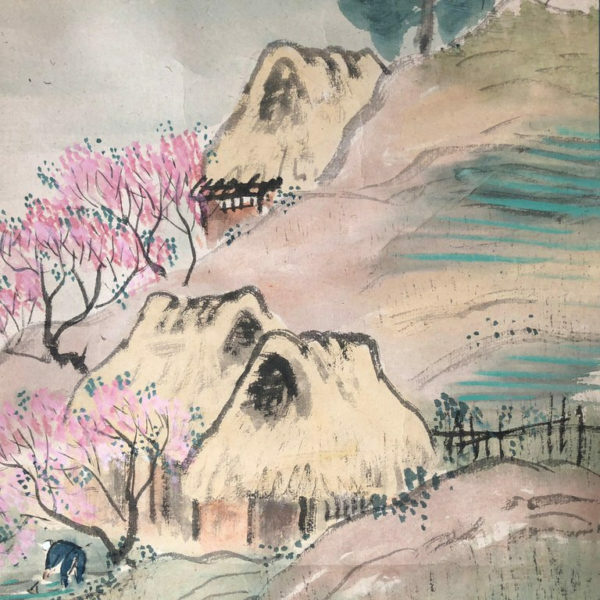 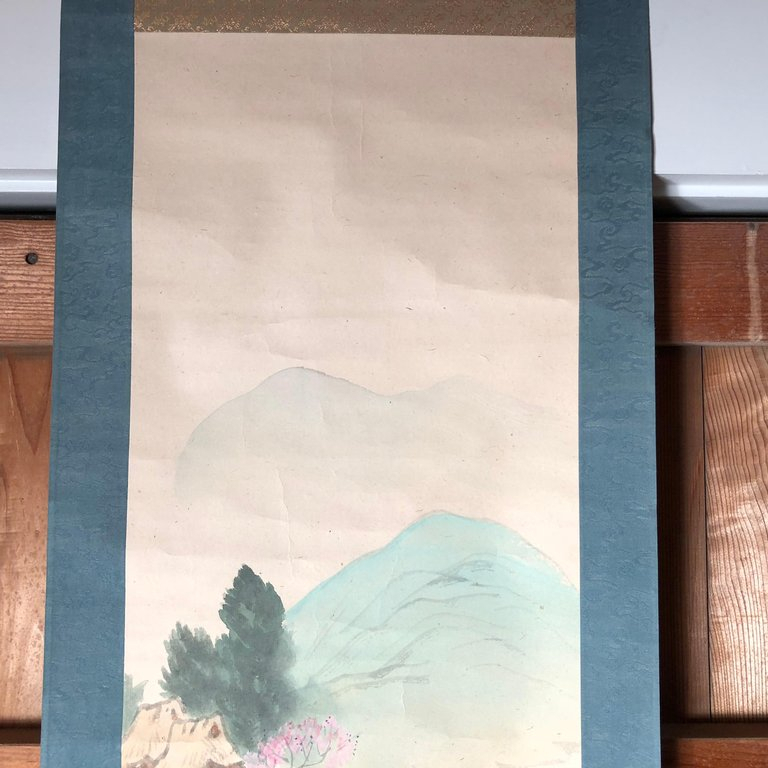 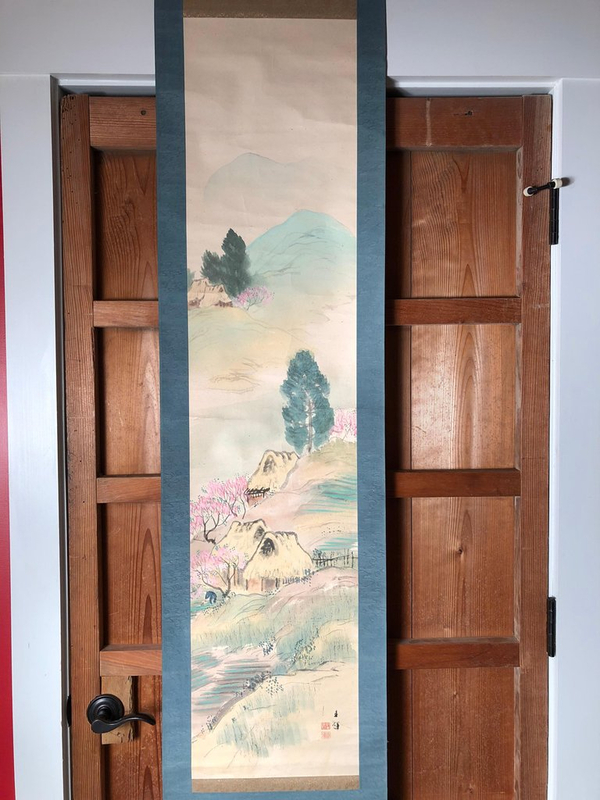 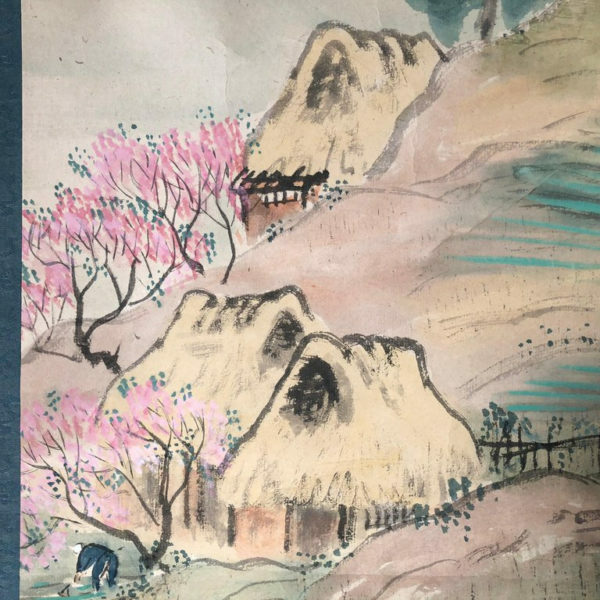 A very fine and beautifully rendered mountain scape Japanese antique hand painted silk scroll of a cluster of mountain minka cottages, Meiji period. 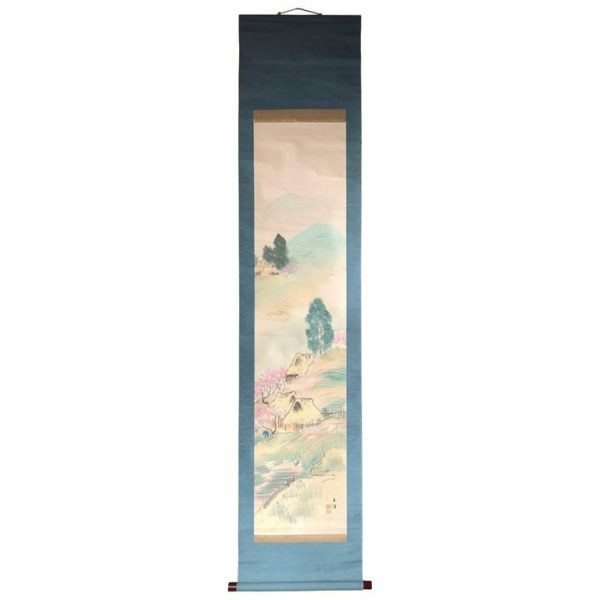 Hand painting in lively colors on silk with great details, signed. 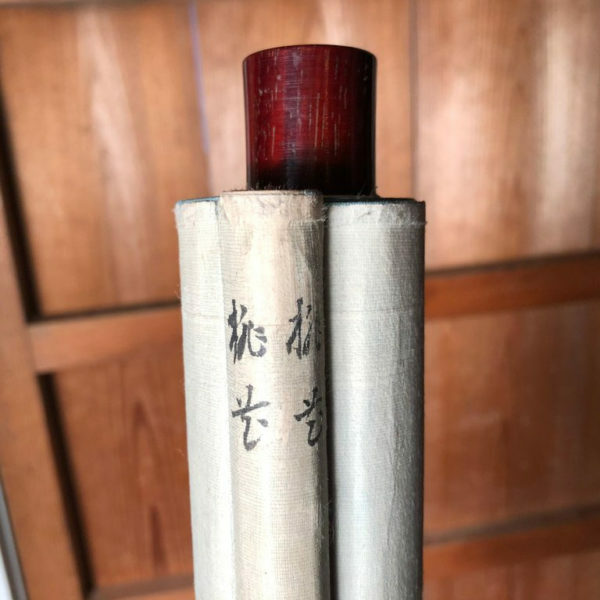 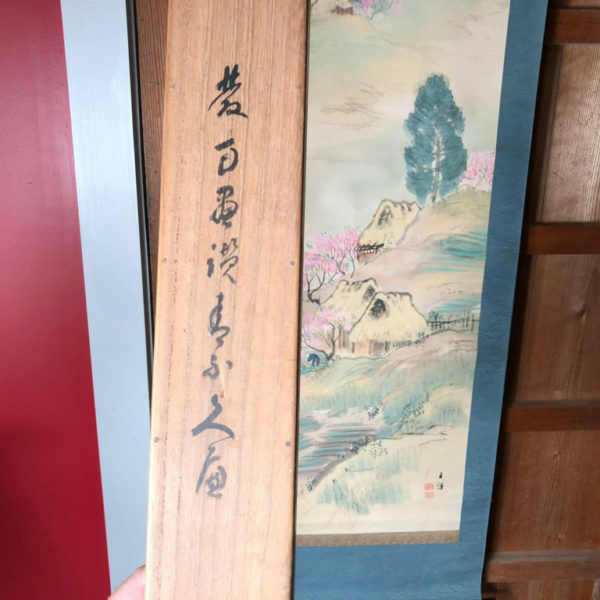 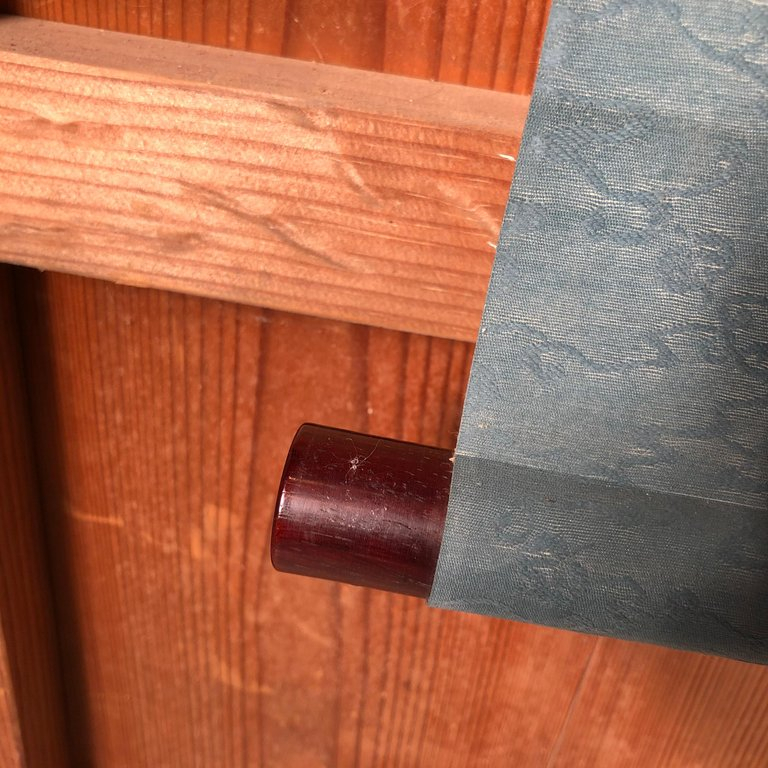 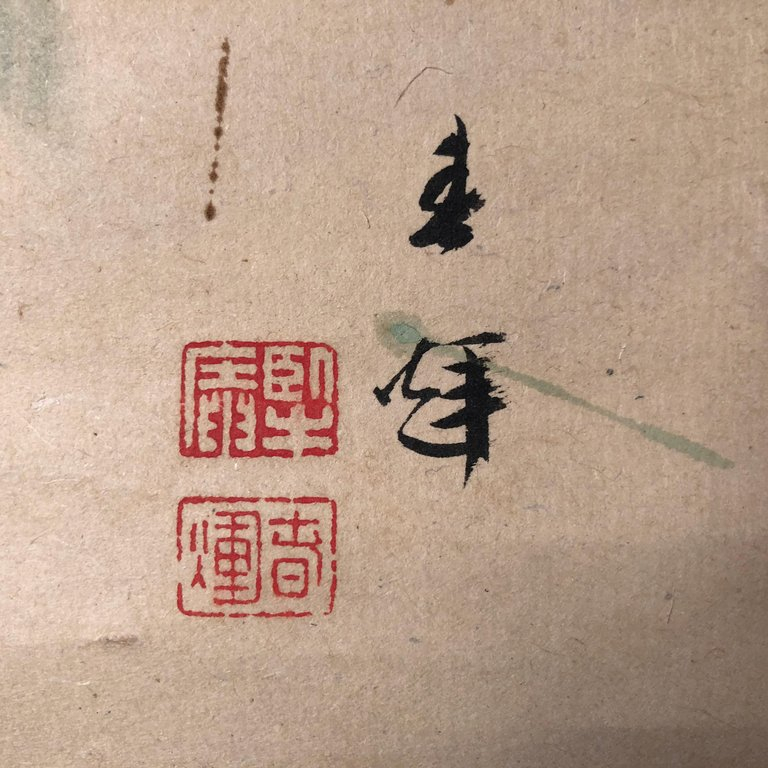 Signed Tomobako wood storage box included.